Suddenly the Western political society has acquired a new protagonist, an almost heroic dramatis persona, Karl-Theodor zu Guttenberg. We non-Germans were allowed to ignore him- he only was a member of Angela Merkel’s cabinet. Since a few days he is the embodiment of courage, i.e. of a little honored concept on how a politician should behave (he or she usually doesn’t).. Admittedly, I am so impressed by Guttenberg’s choice to resign not only from the government, also from the Bundestag, because the Italian frame of mind is the very opposite to the German one. In Italy practically nobody resigns on ethical grounds. Italy seems perfectly unable to free herself of a grotesque head of government, nor of his arch-enemy, G.Fini, not a warrior for ideals. In a different country both would have had to retire several years ago. From baron zu Guttenberg comes a lesson which applies to other contexts: including the United States, where president Clinton was able to escape almost unscathed from a rather unseemly situation. The German environment has been merciless with Guttenberg, a brilliant politician whose chances to became Europe’s top head of government were high. His sin was venial: he had used somebody’s else copy in his own doctoral thesis. In Italy or in France a minister as important as Guttenberg -he was in command of a military establishment whose heritage is the world’s most prestigious- would have resisted criticism. The Bundesrepublik is different. After the cataclysm of WW2 and the horrors of Hitlerism, Germany has reverted to her historical integrity. Martin Luther rebelled against Rome for the sake of integrity, and since his time Lutheran probity marked the German soul (up to the terrible Nazi devastations). The Guttenberg episode is meaningful for an additional reason. It emphasizes the public role of the German upper nobility. Freiherr (baron) Guttenberg, a Bavarian, married a descendant of prince von Bismarck, the creator in 1870 of the German Reich and a top Junker (member of the landowning aristocracy of Prussia). In WW2 the daughter in law of the prince took her life a few hours before the victorious Red Army reached her country estate. The Junker class dominated the German society, especially as far the Army and the upper burocracy were concerned. However that Establishment fully met its moral obligations when the hard times arrived. I today discovered a Karl-Ludwig Freiherr von Guttenberg among the l50 victims of the Fuehrer’s barbarous revenge after the failed plot on July 20, 1944 to kill him and stop the war. The relative, possibly a father, of our Guttenberg was executed on April 23, 1945, a couple of weeks before the surrender of Germany. The leaders of the conspiracy were among the most prominent exponents of the German officialdom: fieldmarshals Rommel and von Witzleben, four or five full generals (the German rank was Generaloberst), a well higher number of lesser generals, famous admiral Canaris, many top civil servants (a few ambassadors included), academicians and a descendant of field marshal Helmuth von Moltke, who defeated Napoleon III in 1870. Practically all participants of the conspiracy were upper class, with a very large percentage of aristocrats. The death list I am perusing while I write includes fathers, sons, brothers, also a few wives, mothers or daughters who met their end because of their relations with doomed Prominenzen.. In other words, the German elite, the aristocrats first of all, paid heavily because of their sense of responsibility and honor. 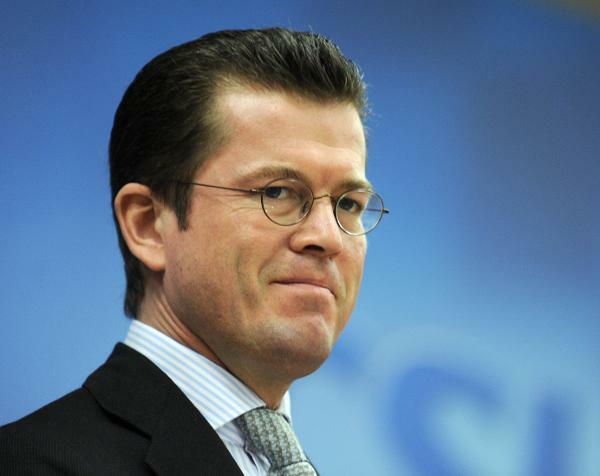 Freiherr Karl-Theodor zu Guttenberg seems to follow the steps of the l50 ultimate foes of Adolf Hitler.